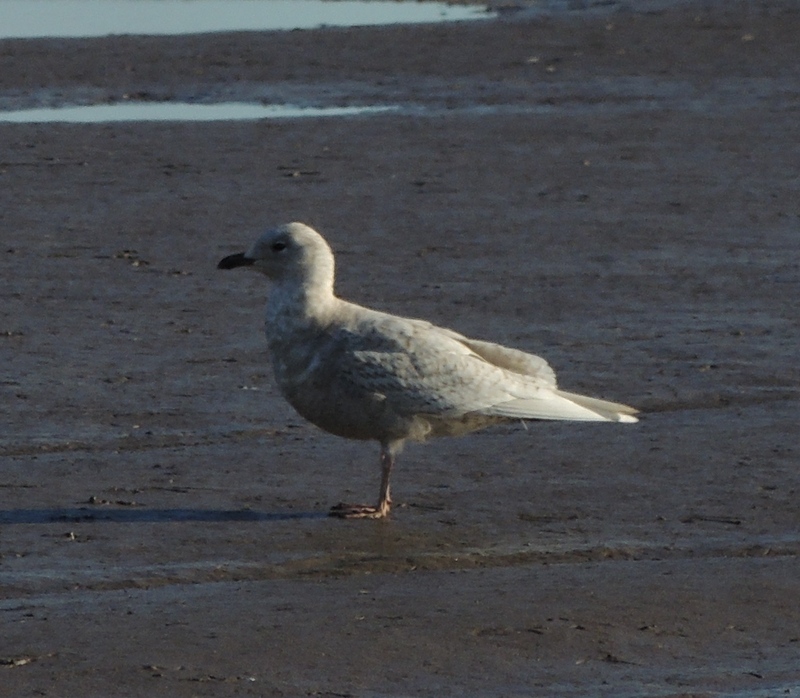 8/3 A juvenile Iceland Gull was found by Simon Brebner on Saturday morning at Paull Holme Strays. RL and ML managed to twitch it that afternoon and interestingly had a second immature Iceland Gull flying over Hedon Road towards Alexander Dock on the way. 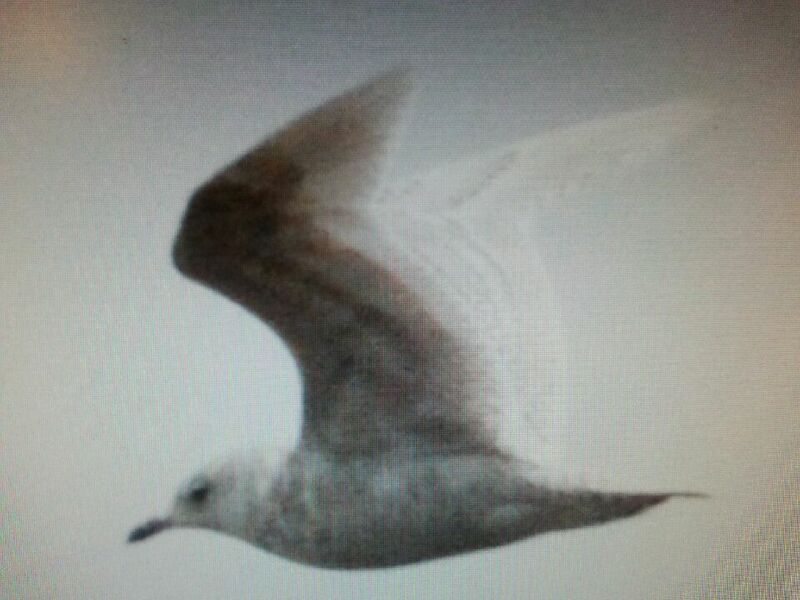 Graham Catley had seen a first winter Iceland Gull at Hull Docks a few weeks back. 10/3 Went to Paull with RL on Monday afternoon. The Iceland Gull was still on the flats off the western inlet of the Strays [Paull tick no.1] . Was quite settled and we were able to creep to the end of the flood bank with out flushing it so getting some reasonable photos, despite my battery failing after a few shots. However a non-birder oblivious to our mission brazenly walked past RL and flushed it. However it only flew a short distance onto the Strays proper. Finished the day at Hornsea Mere where we had the nine Scaup again. 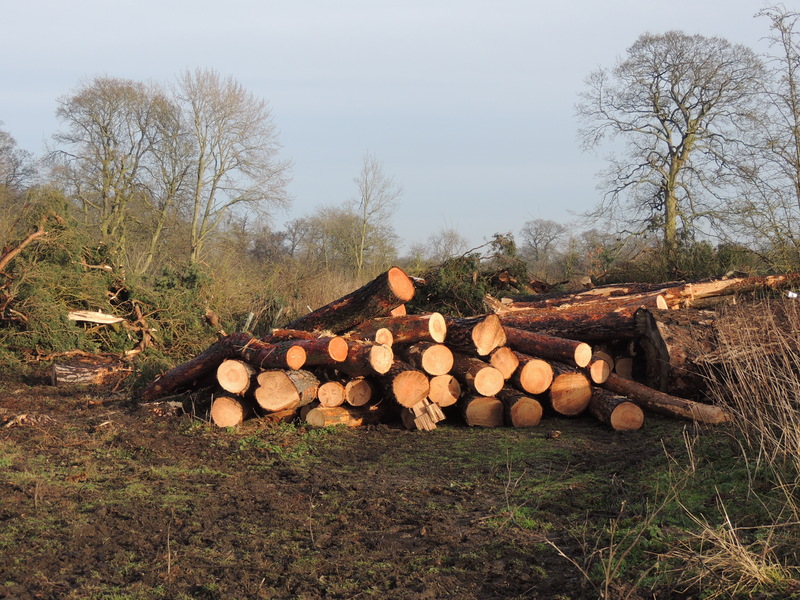 11/3 Went to High Eske NR on Tuesday afternoon. 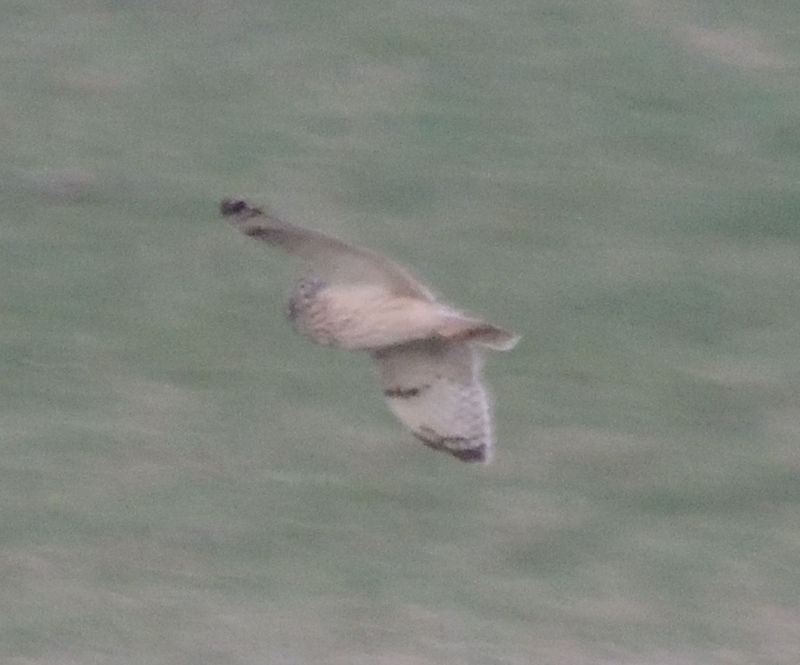 Highlights were a singing Chiffchaff, a drake Goosander at dusk and the regular Barn Owl over Pulfin NR. More of a ‘lowlight’ was two Mink that climbed out of the river and walked across the causeway in front of me, into the borrow pit. My first sighting for a few years and worrying for Richard Hampshire who seems to be controlling the species further up the river at Tophill Low NR. Returned on Friday evening when I had a least nine Little Egrets flying in to roost. Again couldn’t locate the roost and have come to the conclusion that they must roost in trees out of sight west of pit. May have missed a few while looking for the roost including any coming from the south so the twelve reported a few week back may be regular. 12/3 Went to Welton Waters on Wednesday afternoon. Duck numbers were up with 47 Tufted Duck and 18 Goldeneye, split between Brough Angling Complex and “watersports pit”. No Chiffchaff along Common Lane but Pete Scott had two this Saturday. My habit of returning to Brough airfield marsh at dusk finally paid off with a close Short-eared Owl and a female Marsh Harrier coming in to roost. 15/3 Went to Hornsea Mere with ML and RL on Saturday afternoon. Nothing from HVWG hide except the assumed escaped Red-crested Pochard so went to Paull. Started at Saltend where Simon Brebner had seen 122 Avocets on Friday but none for us. 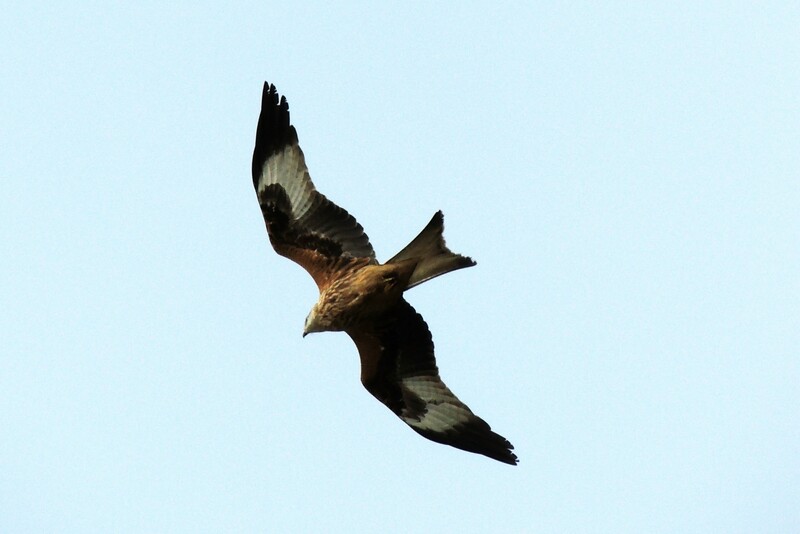 However while counting the other waders and Shelduck a passing dog-walker called out “look behind you” and there was a very low Red Kite [Paull tick no.2]. RL and I fired off a few quick shots. ML had stayed in his car but fortunately had seen it independently. Even tried whistling to get our attention despite the strong wind! Went to the old lighthouses to count the waders on Paull Holme Strays and Sands. Totals were:- Turnstone 29, Bar-tailed Godwit 2, Shelduck 74, Ringed Plover 5, Sanderling 17, Dunlin 620, Grey Plover 720, Oystercatcher 5, Golden Plover 1900, Avocet 9, Wigeon 53, Little Egret 2 and Curlew 27. I also had a Peregrine repeatedly putting up the waders on Paull Sands. 16/3 Again on Sunday morning had nothing from HVWG hide at Hornsea Mere except the Red-crested Pochard but Geoff Dobbs fared better from the south side starting with Cetti’s Warbler in 1st field then Long-tailed Duck, Black-necked Grebe and redhead Smew. 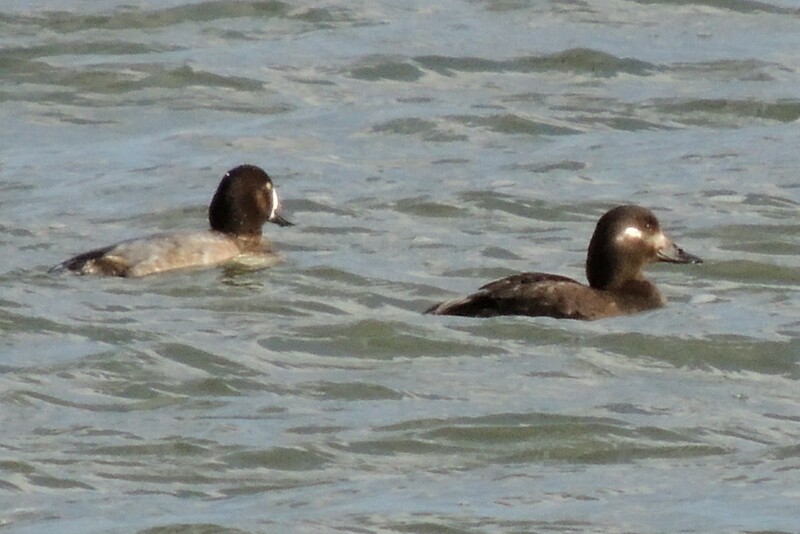 The Velvet Scoter and 4 Scaup were seen in the afternoon. More from the mere here. RL and I fared little better on the sea between Atwick and Barmston with only a few Red-throated Divers, Great Crested Grebes and Guillemots, although I did have a Kittiwake off Ulrome. Again no sign of the Kumlien’s Gull at Barmston but did have notable 50 Oystercatchers. Also had a Comma butterfly while looking for migrants at Atwick. For my recent moth trapping in Cottingham check here. 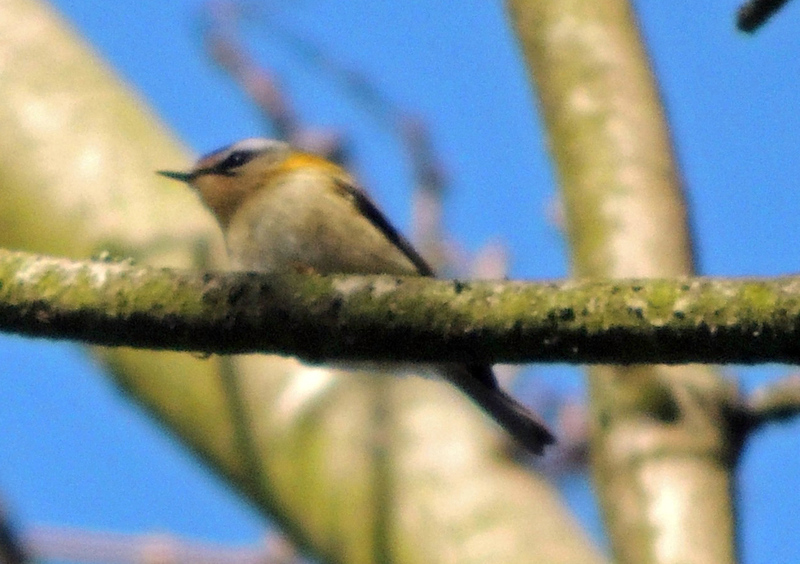 A Firecrest was found by the Martin brothers near Fort Paull on Saturday morning. RL and ML looked for it early afternoon with out success but it was found again after they left showing well along the moat on the south side of the fort. I went back with RL but by then the wind had become too strong and we couldn’t relocate it. Went back to Paull with RL and ML on Sunday morning and joined JH, the Martin brothers and Pete Scott looking for the Firecrest. Wind much lower and we could actually hear birds calling. Shortly RL located it at the top of a tree west of Fort Paull. Unfortunately flew but I relocated it just a few metres away and eventually everyone was happy with their views. For more news from the Paull area check here. Went to Hornsea Mere this afternoon. Mike Jackson was already in the hide and had located the Scaup flock. The full nine present including the two drakes. 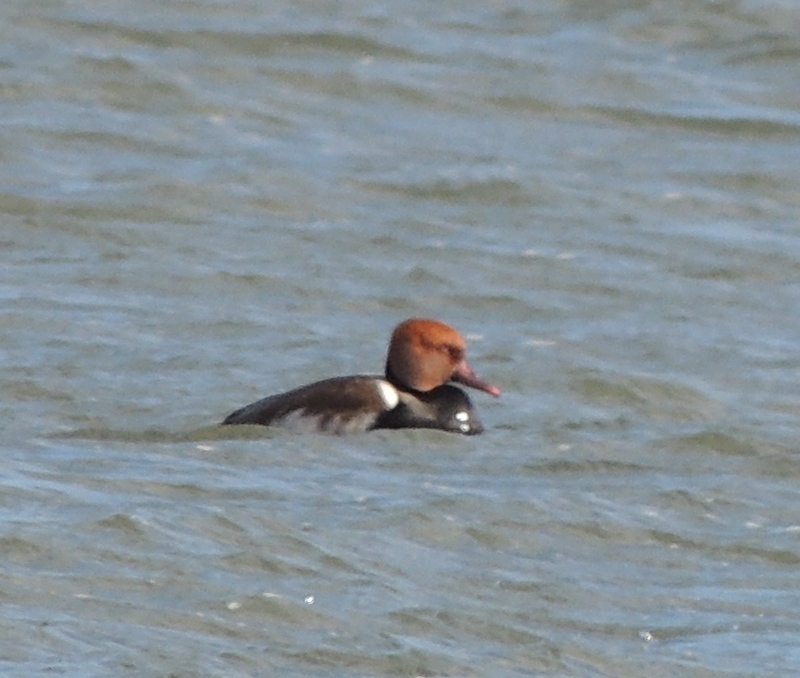 While watching them I found a nice drake Red-crested Pochard, the first for a few months. Also had the female Velvet Scoter. Mike had had the Great White Egret yesterday [see here]. With the unusually bright conditions compared with the recent times and with the bird quite close we got some of our best pictures [I hope!] for a while. Had a walk past Wassand Hall later but a Jay was the only bird of interest. 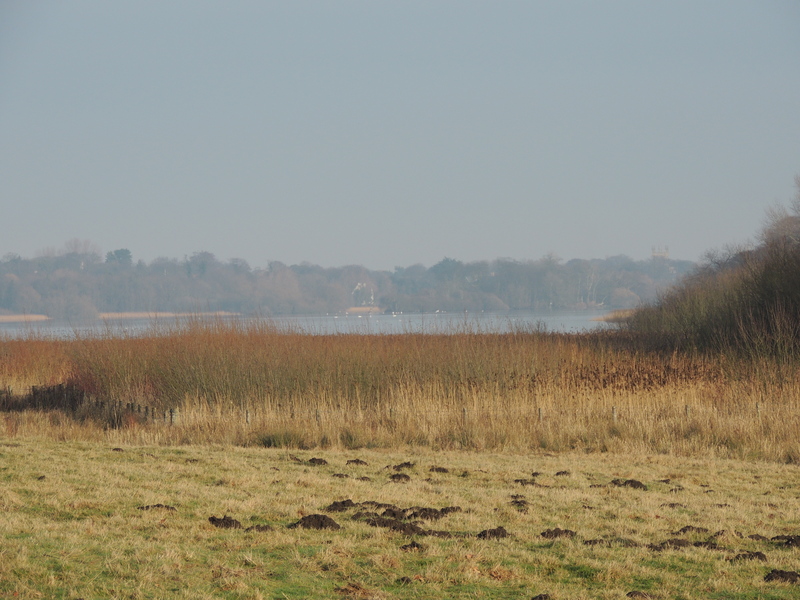 Looking over Hornsea Mere from near Wassand Hall. Check here for last week at Tophill Low NR including a Bittern on North Marsh.